Time to up the parkrun ante? Despite its super inclusive, kick back, coffee and cake style Saturday morning approach to running parkrun also offers a great opportunity to be competitive. That is, as competitive as you want to be with yourself or others. The fact that it happens at the same time, in the same place every Saturday means you can have a good post hangover hit out one week and a roll around with the tail runners another week. But what about if you’re at that point where you’d like to really give your parkrun a crack and go for it? What you’ll have probably already noticed from your parkrun 5k experiences is that the faster you start the harder it is to maintain. Burn off too quickly once your local parkrun Event Director ‘drops the flag’ and you can find yourself 2 kilometres away in your park feeling like you’re carrying a fridge on your back and someone has run off with your lungs. If you’re prepping for parkrun with a mid-week casual jog don’t be surprised when your 5k smash up hurts at halfway and you watch your parkrun nemesis disappear through the trees into the distance. If you’re serious about PB’ing at parkrun then it’s time for some ‘specificity’. Although this might sound like a ‘pro’ training term that only speed snakes in lycra tout about, all it means is that you’re prepared to tackle your parkrun in the way you want to be. Essentially, don’t give your body any surprises on parkrunday because you’ve taught it to be ready for the intensity you’re going to throw at it for 5k. Running 5k well is all about getting some specific ‘speed endurance’ training under your belt. Speed endurance training means teaching your body to run faster (at a higher intensity) for longer. This is best achieved by introducing some intervals and threshold running into your training. Both of these types of training can be structured to be specific to 5k and will help your target 5k pace feel easier. At least, that’s the theory. 6 to 8 weeks of intervals and threshold work thrown into your training regime and you’ll soon find yourself smashing your personal parkrun goals. Intervals – not just for speedsters ‘intervals’ are periods of high intensity, hard effort fast running interspersed with periods of recovery. The point of an interval session is to run fast, then recover, then repeat. This type of training helps boost maximal oxygen uptake, improves stamina, improves running economy and makes race pace feel easier! Intervals should be run at 80-95% maximal effort (depending on the duration, the shorter, the harder!). High quality interval workouts are hard to maintain without appropriate and sufficient recovery. The recovery is as important as the effort. Getting the blend of effort and recovery just right is important to improve your performance. If you’re not sure, take longer rest periods and keep the quality of the efforts high. Threshold pace is sustained, ‘controlled discomfort’. It’s your friend for a feisty parkrun! Effectively this is what 5k pace should feel like when you’re teetering on the edge of comfort. It’s an effort level you can maintain but only just. 8 out of 10 in terms of effort, with adaptation sustained threshold running gets easier the more you do. These workouts are designed to help you run a faster 5k. Whether you’re pitching to break 35minutes for the first time at parkrun, take down your parkrun nemesis, or fly round in a new personal best, build these workouts regularly (1 or 2 a week) into your plans and reap the parkrun performance rewards. Killer k’s. 5x1km. This is a classic 5k interval session. Run 1k at your target 5k pace. Take 50% of the time it takes you to run the 1k as recovery (walk or jog, for example, for a 5min 1k effort take 2.5minutes recovery). Repeat the 1k a further 4 times striving to maintain the same pace (or marginally faster) for each 1k. Triple 8. 3x8minutes. This is a progressive paced sustained threshold run with the aim of finishing the final 8minute effort at bang on, or marginally faster than, target 5k pace. Run the first 8minute effort at 70% maximum, the second at 80% and the final 8minutes at 90% maximum. To begin with take 2minutes easy between pace pick-ups but as you get more experienced and fitter drop the recovery to zero and hit the Triple 8 right through with continuous pace accelerations. 3-2-1 Speed pyramid. This session is perfect for being on top of the fatigue in the final 1km and nailing the sprint finish to ace your parkrun! Run 3minutes at target 5k pace (remember, this will be high intensity! ), take 1min rest. Run 2minutes a whisker faster than this, take 1minute rest. Finish the set with a 1 minute super fast run (faster than target 5k pace). Take 5minutes walk/jog recovery and repeat the 3-2-1 pyramid a further 2 times. Be ready! It’s important when doing faster paced workouts to complete an effective and specific warm up routine. A warm up gets your ready for running faster and so more time and focus must be given to it. A 5min jog isn’t sufficient. Help minimize risk of injury through tweaks, pulls and strains due to sudden increases in muscle stretch by warming up your heart and lungs through continuous steady running for 10 to 15 minutes followed by some dynamic mobility exercises. Perfect your strategy. Pick your place, pace and line. Give yourself your best chance of ace-ing your parkrun by being in the right place at the right time! Follow the 5 golden PB’s strategy rules. Chose your start spot. The beauty of parkrun is that everyone shares the spirit of running together and, although a timed run, times are not always important. That said, if you’re gunning for a personal best time then being in the right place at the right time matters. Line up at the start to give yourself the best chance of this. This doesn’t mean you need to elbow your way to the front, but it also may not mean standing right at the back and being faced with a wall of runners from the off. Find runners that are finishing in a similar time to your goal and running at your pace and stick with them! Avoid dog leads and buggies! Know the route. As it’s your local parkrun you should know the course. Understand sections where you need to concentrate, work hard and be strong and sections where can relax and stride out. Run evenly.  Aim to start strongly for the first kilometre and quickly reach your target 5k pace within. Then settle and hold this pace for 3km before digging in and hanging on for the final km. If it’s a ‘time’ rather than a course PB you’re after then choose your parkrun event carefully. 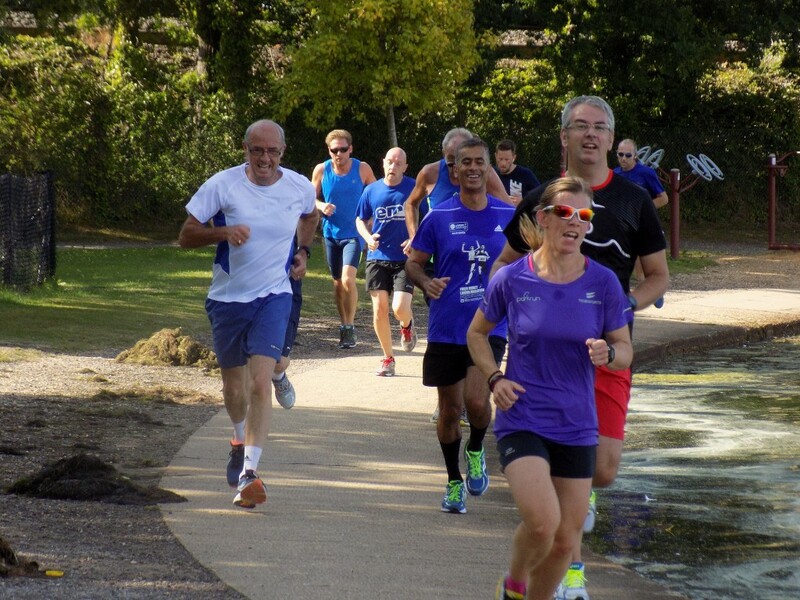 Some courses are significantly faster (flatter, less twisty, better underfoot, more competitive, more runners at your pace) than others so a little parkrun tourism might be called for if parkrun PB’s are important. The final 500 is supposed to hurt! If you’ve got your pacing right and are in with a shout of your parkrun PB within the final 1km then remember that slowing down at this point isn’t an option! The final 500 can make all the difference so finish strong and smiling. Thank you Sarah Lay for the fab picture. Awesome advice. I need to post a vet 50 time…. Thank you a brilliant read and advice, will have a go. Martin, can you give an example for Triple 8 using the same 5 minute pace you used in the Killer k example please? Hi Paul, to be honest I tend to go on ‘effort perception’ rather than a prescriptive pace. So, a 70% effort run for 8minutes would be done at 70% of maximum effort on that day, or a 7 out of 10 – where 10 would be your maximum effort. With practise you’ll learn what kind of pace and heart rate you’d typically run at when you’re around 70% of your max effort. They key thing is that it feels controlled but ‘comfortably hard’ to sustain for the 8mins. Thanks for the training tips. I have been interval / track training, now I have more. Looking forward to trying them out.